The MTA’s Subway Map is an essential resource for getting around NYC. 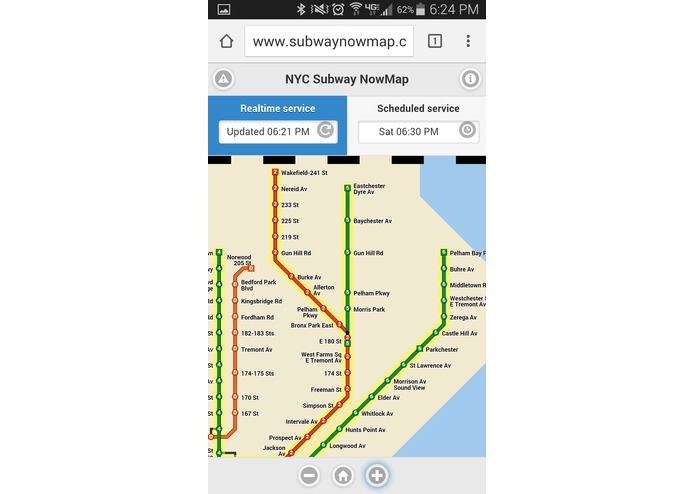 But the map always looks the same, regardless of whether there are service changes, or if a rush hour, weekend, or late night schedule is in effect. 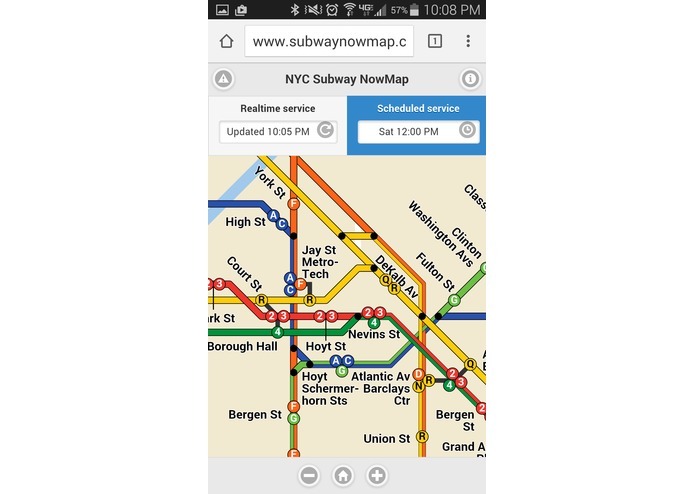 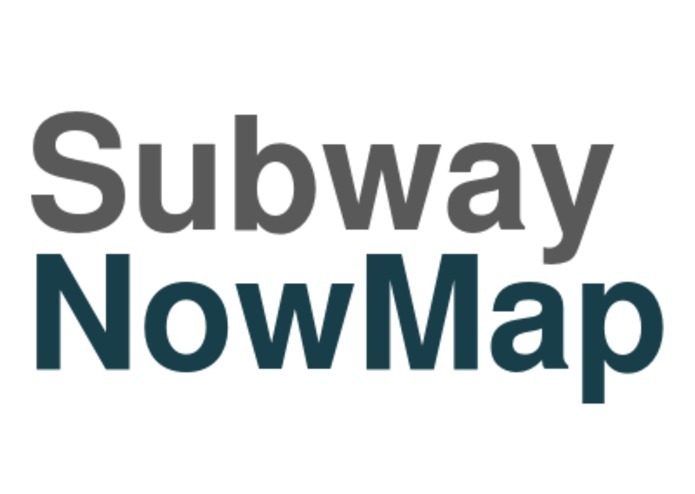 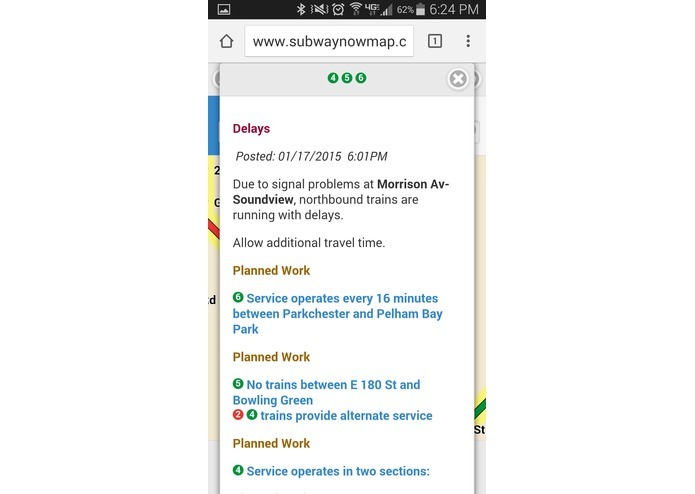 Subway NowMap is a mobile website that offers a dynamic visualization of subway service. 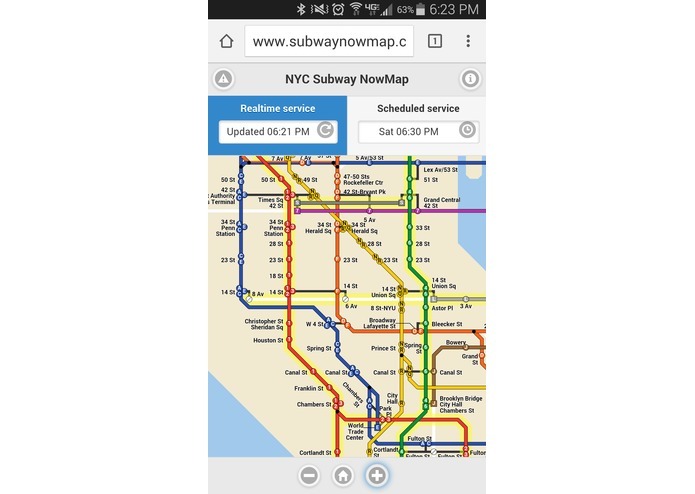 It provides a real-time map that redraws itself when there are service changes, and it adjusts itself according to the time of day and the day of the week. 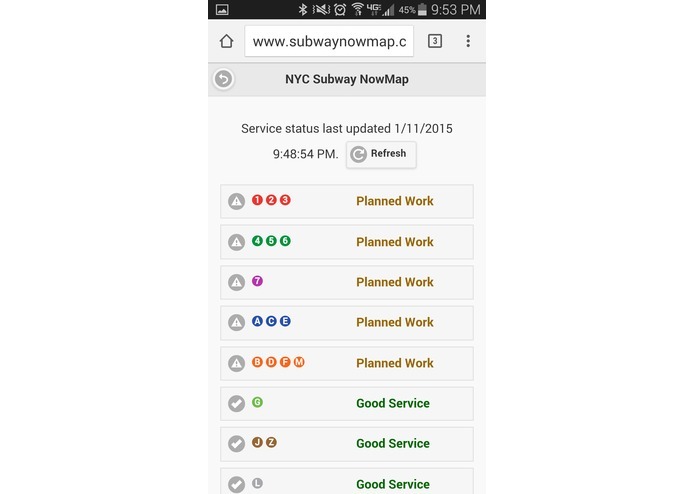 In real-time mode, it shows the service that is available right now. 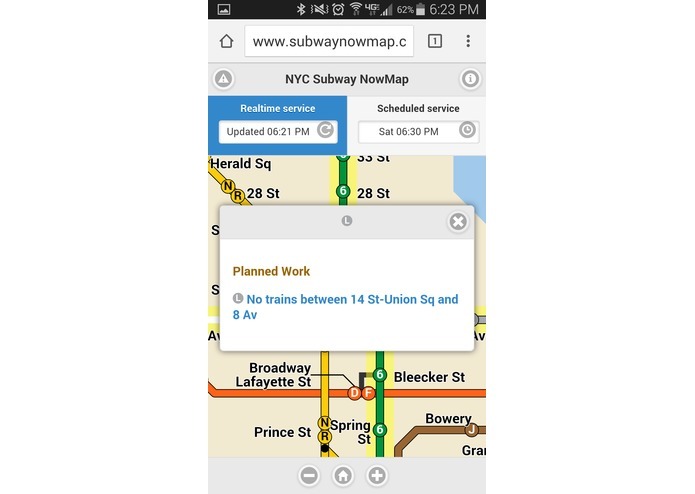 The map redraws itself to accommodate service changes and planned work for those lines where information is provided by the MTA. 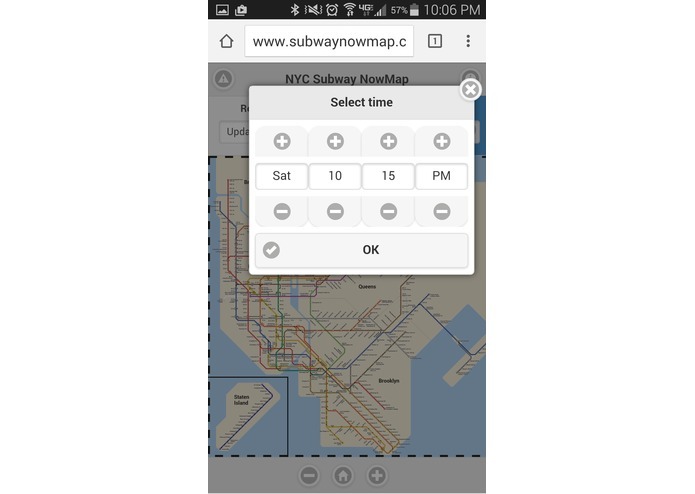 In scheduled mode, it shows scheduled service for any day and time combination you choose.